Last weekend mystery and crime writers gathered at Boucheron, the World Mystery Convention in St. Petersburg, Florida for four days of panels, interviews, signings—and, of course, the annual awards. Winners of the Anthony Awards, the Barry Awards (voted on by readers of the crime magazine Deadly Pleasures Mystery Magazine), and the Macavity Awards (voted on by members of Mystery Writers International) were announced. 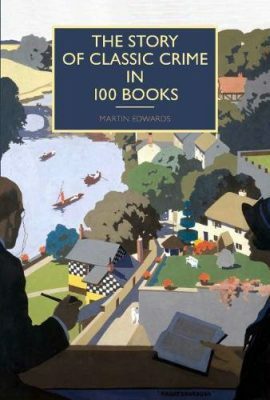 Our very own, Martin Edwards, was nominated for the Macavity Award for Best Nonfiction for this wonderful THE STORY OF CLASSIC CRIME IN 100 BOOKS (British Library) and we’re delighted that he was announced the very deserving winner!